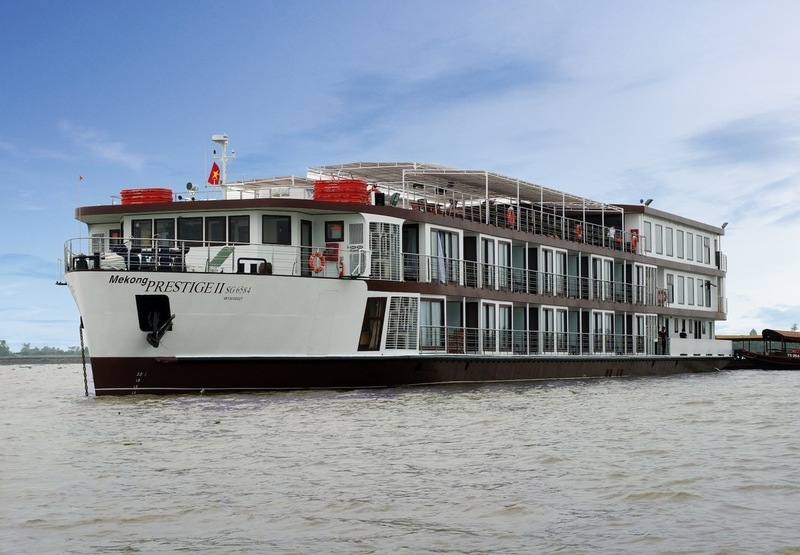 The Mekong Prestige II is a unique new river vessel that combines the best of Asian and European comfort and style, at around 30% less expensive than many of our competitors. Unlimited wine, beer, local spirits and soft drinks are included at all times, as are all on-board gratuities. Asian and Western cuisine is on offer. All cabins are very spacious with proper balconies and the ship has a larger than usual sun deck for river watching and relaxation. Mekong Waterways is represented by eWaterways Cruises in the UK market.